The Executive MBA (EMBA) Program at Columbia Business School is a 20-month graduate program designed specifically for high-achieving businesspeople that are looking to enhance their education without interrupting their careers. The EMBA Program meets on alternate Fridays and Saturdays on the Columbia University campus. The program offers both September and January entry dates. The program’s innovative curriculum and collaborative learning environment helps you apply your knowledge and skills to problems you face in today’s marketplace. An outstanding faculty exposes you to cutting-edge ideas and practices — ideas and practices that others will later adopt, teach and apply. To date, more than 800 organizations have sponsored executive-potential employees as students in Columbia’s EMBA program. Leaders of these organizations can attest to the fact that the skills you will acquire in the EMBA program are invaluable to the growth and development of their respective organizations. (Learn more about sponsorship). While financial sponsorship is not a requirement, employers must endorse your enrollment, work with you to develop a flexible work schedule and allow time away for class commitments. 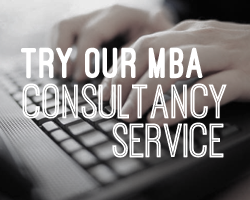 In addition, there is the opportunity to participate in dual-degree programs, such as the Berkeley-Columbia Executive MBA and EMBA-Global, administered in partnership with London Business School. These programs divide class time between Columbia and the partner institutions and award students MBA degrees from both schools. EMBA fees cover tuition, books, meals (breakfast, lunch and afternoon snack) on all class days and conference center accommodations during the weeks in residence at the start of the first two terms. The fees also include residence and meals during the week long International Seminar in the second year. Students must purchase a laptop computer for the program, pay their own airfare for the International Seminar and arrange their own travel throughout the program. *Accommodations are provided during class dates for the first year. *Accommodations are provided during class dates throughout the 20 months.